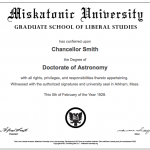 Miskatonic University offers membership to it's website and systems to Students, Alumni and Trustee members only. This is not a real university and in no way is anything pertaining to this site supposed to represent a higher education institution. Users become a part of history. 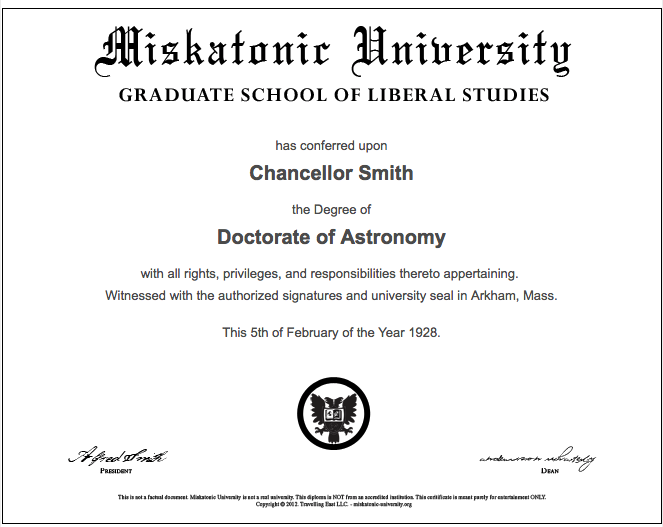 By registering, you are added to the fictional student body of Miskatonic University, a legacy of H.P. Lovecraft's work on the net. 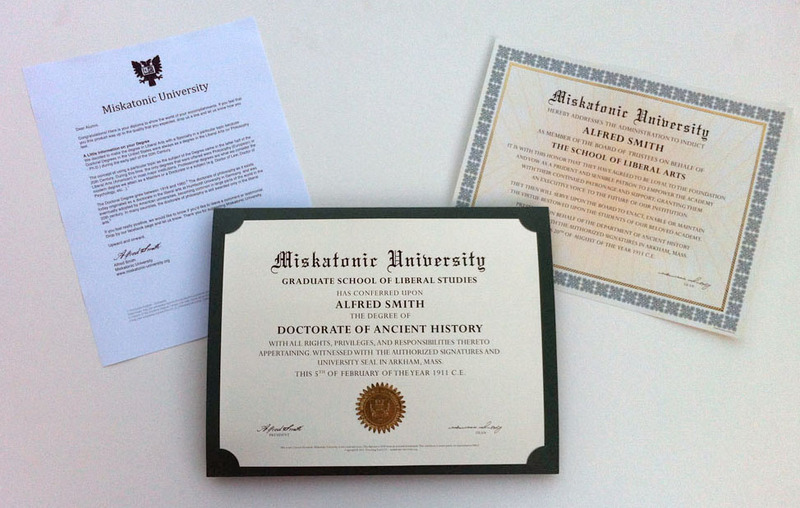 In order to become an Alumni or a Trustee member, you must make a donation to Miskatonic University to cover the administration fees to keep the institution alive. 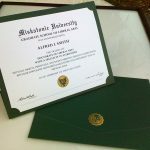 Depending on your donation will determine whether you get your membership with an online version of your diploma or you can gain Trustee status and receive a commemorative Diploma that you can hang on your wall. When you have finished your transaction, please click "Return to Miskatonic LLC" to finalize your transaction on Paypal. * You may cancel and request a refund up to 48 hours after purchase. 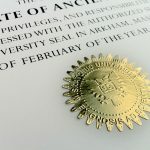 After your name is listed, you may request for your name to be removed but no refunds or name changes will be available. 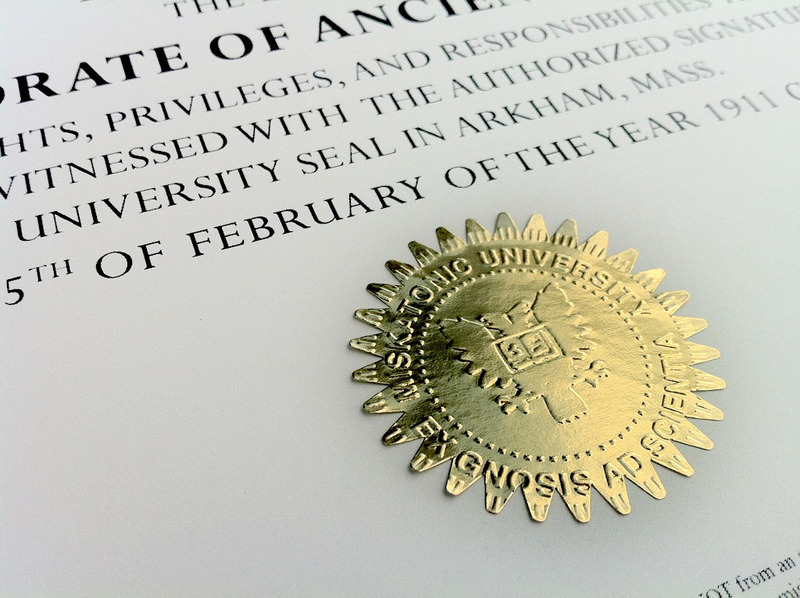 All certificates are made-to-order. There are no refunds on Trustee physical certificates but you may exchange if there is an error on the certificate. 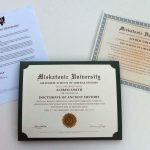 All membership donations and purchases on miskatonic-university.org are through Miskatonic LLC and orders are handled through Paypal. We are here to help and if you would like to request a refund or cancel after placing your order, please contact us within 48 hours. Shipping is included on all Domestic US deliveries. For International Shipping, additional rates will apply dependent on destination of package.